Product Description: A cup of Purple Mint is sweet and refreshing. Invigorating mint leaves are beautifully balanced with delicate rose petals and smooth purple tea. The dry leaves are a blend of Kenyan purple tea, peppermint, spearmint, and rose. The golden infusion has a minty aroma with light notes of rose. 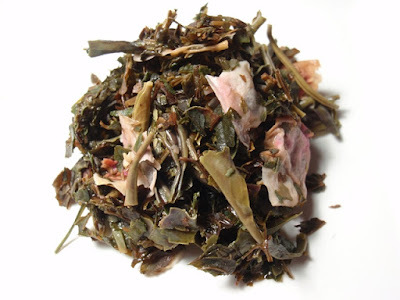 The taste is smooth, minty, and cool with a faint note of rose at the end and a long minty finish. 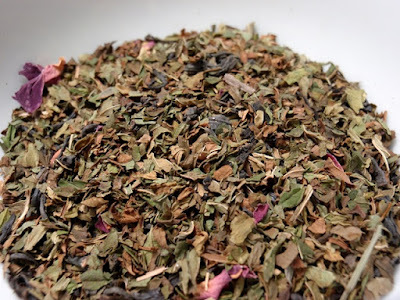 Because a little goes a long way with peppermint, I only used 2 grams (a little over 1 teaspoon) of leaves which produced the ideal strength in flavor to suit my tastes. 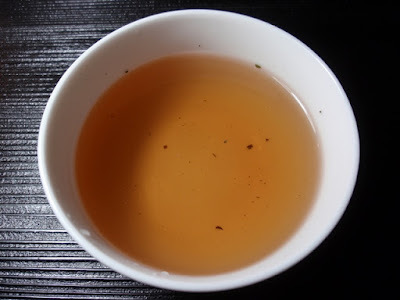 By the third steeping, the flavor had mellowed and the rose aroma had moved to the front.